Wainwright Coast to Coast Walk The End! After a hearty breakfast at Lisvane bed and breakfast in Grosmont we were on the move by 8.45am. No sausage scares for Al so all was well with the world! All uphill for a couple of miles then across heather moors and down to Littlebeck. The section from here was a quite interesting woodland gorge. 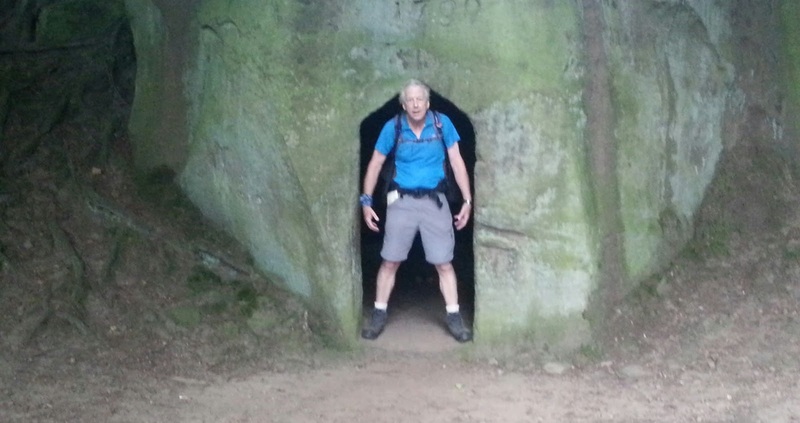 Al did his daily silly bugger turn at the hermits cave (see photo). 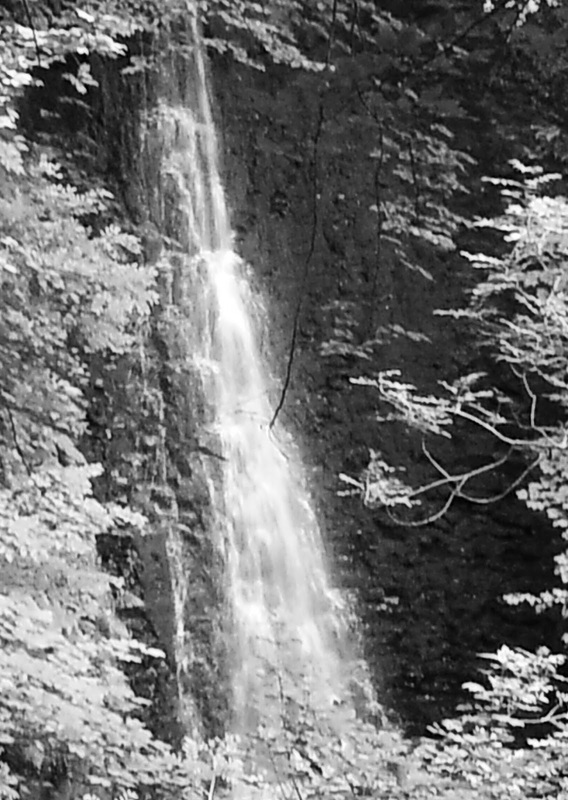 Falling Foss waterfall had little water but was still quite picturesque through the trees. We diverted across footpaths over heather moors to High Hawsker and the Hare and Hounds pub by 12.45 pm. The Theakstons Black Bull Bitter and Thwaites Wainwright Ale were both in good form, as was the enormous BLT baguette. 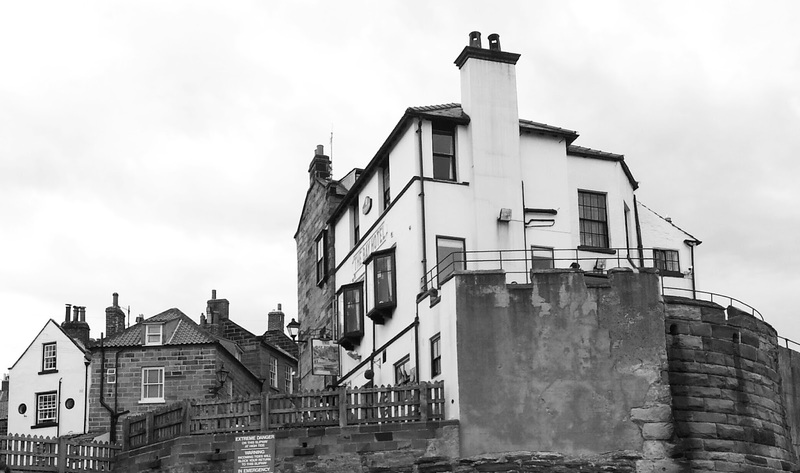 The final leg was along the cliff tops in sunshine to Robin Hoods Bay. Robin Hoods Bay from less than a mile to go! 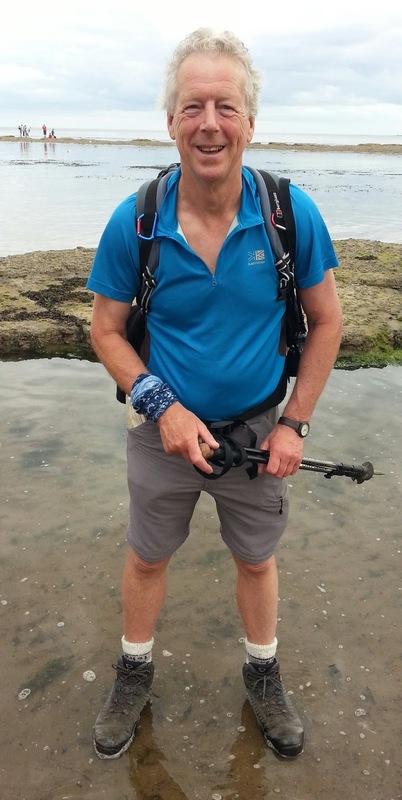 We made a bee-line for the shoreline, fortunately it was high tide so not far to go, and paddled in the sea to finish the Wainwright Coast to Coast walk which we started on 5th July 2011. A total time of 2 years 1 month. Next was a celebratory drink or two of Theakstons Bitter in the Bay Hotel and signing of the official register. The celebrations continued into the evening as Jan and Carol, our wives, arrived. We had a good meal at the Dolphin and a few pints of Old Peculiar to round off the trip.